30,000 Mile Service - Orinda Motors Inc. The 30,000 mile service is a major service, and likely the first one for your vehicle. The 30,000 mile service may be referred to as a “tune-up”. Depending on what is recommended by the Owner’s Manual for your car, the 30,000 mile service is where you will start seeing some of the fluids replaced, such as the brake fluid, engine coolant and transmission fluid, as well as spark plugs, air filters and the fuel filter. A more comprehensive checklist of inspections for the 30,000 mile service may also be included. Each vehicle manufacturer may vary the actions performed, so our auto mechanics at Orinda Motors will verify the service requirements specified by your vehicle’s manufacturer. Our Orinda Village location has a comfortable waiting area and is located near several stores and restaurants, Safeway, Starbucks and the Orinda Library, so you can go explore the area or catch up on work while you wait for your 30,000-mile maintenance to be complete. If you choose not to wait for the completion of the 30,000-mile auto repair service, we offer a free shuttle to BART, home or work. We also offer pickup and delivery of your vehicle for no extra charge! If you need a car we also have Orinda Auto Rental located on the premises. 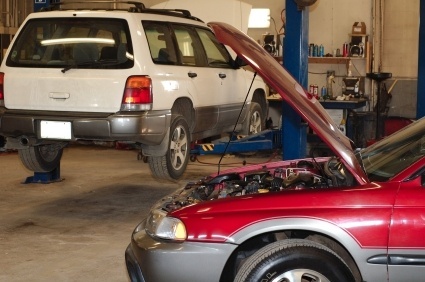 Orinda Motors offers all the auto repair services required for your vehicle’s 30,000 mile service. Our goal to always provide great customer service and high-quality auto repair at the best value possible. If your vehicle is ready for its 30,000 mile service, either schedule an appointment, call us or stop by for a visit at 63 Orinda Way, Orinda, CA 94563.